How do I start using iRemember? Do I need to replace a battery? Nope, power it with any microUSB, even a powerbank. A 3 hour charge will last a week. We suggest a routine of charging cap when refilling pills, usually Sundays. Do I need a phone to use iRemember? Nope, device works by itself. 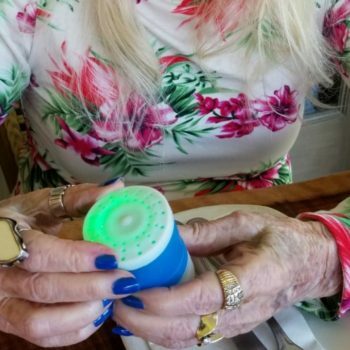 The cap provides a talking menu, which may be set to repeating timer intervals of 24 hours, 12 hours or 6 hours for once, twice and thrice daily medicine schdeule. When you finish taking pills or take them as needed (PRN), simply set timer to Clear. Made to be, set it and forget it, since every time cap is opened, timer restarts automatically. When timer ends, iRemember provides an elegant water drop effect and voice quality message “pill time.” Water drop reminder play every 30 seconds and reset when cap opened or you may skip dose (pause reminders unitl next timer interval) by pressing Status button. iRemember answers this question well. 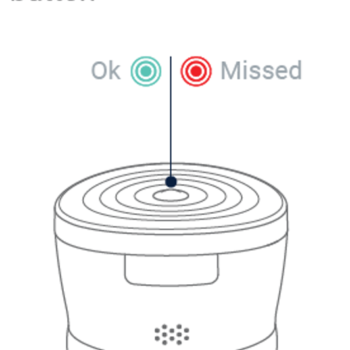 By pressing Status button, Cap will show Green light if OK or Red light if dose missed and speaks Last Opened message, providing relevant actionable information. If you wake from sleep, check cap, see green light and hear “last opened 2 hours ago”, you’ll know. Our color signals are similar to universally understood traffic lights, green means go and red to stop. Just as traffic lights help prevent vehicle accidents, iRemember lights help prevent underdosing or overdosing. Can I use it with multiple medicines? 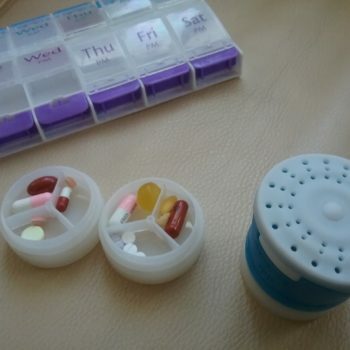 Yes, multiple meds and multiple doses may be organized with compartments / dividers. Are the lights easy to see? Yes, fiber optics provide soft elegant colors for better visibility and communication. Assistive technology with color lights and talking user interface. Braille labels, enable people with disabilities to get the most out of iRemember. May I use liquids with iRemember? No, liquids are not permitted. Yes, we’ll ship your package anywhere that can accept deliveries. Buyer is responsible for custom duty and fees.